It’s been a little while since I posted anything here. Post wedding in July, we quickly moved on to preparing to move house so my projects took a bit of a back seat. I’m really excited that my new house comes with a room that I’ve been pleased to claim as my own craft room. With that I’ve been able to design my own organisation plans. Pinterest as ever was a real great source of information and I thought pegboards seemed like a cracking idea. 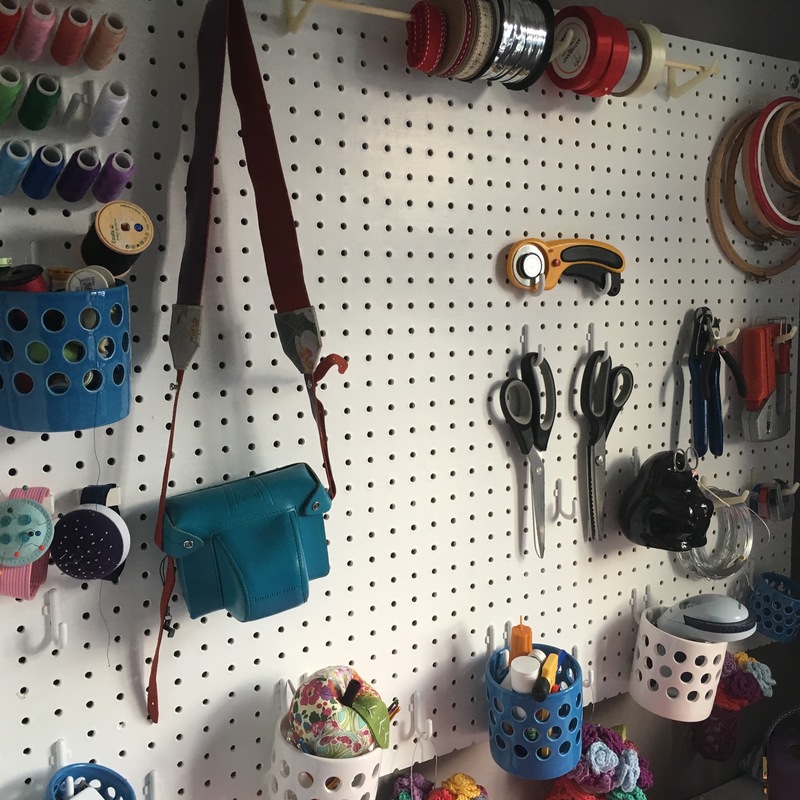 I have 2 made to measure pegboards. The first is for over my desk and holds stuff I like to easily access or looks pretty. There’s a gap in the middle for me to decide what else to include/move around as I get used to using it. The pegs were ordered from eBay in US and we got shipped over. The blue and white pots were from Tiger in the UK and were about £2 each. They’re actually tealight holders but tiger have recently also started selling some hanging vases which I might also pick up. The wool wall is my favourite though. Only a few on there and room to expand but looks great. It’s full wall length and is behind the door so using what was otherwise dead space. 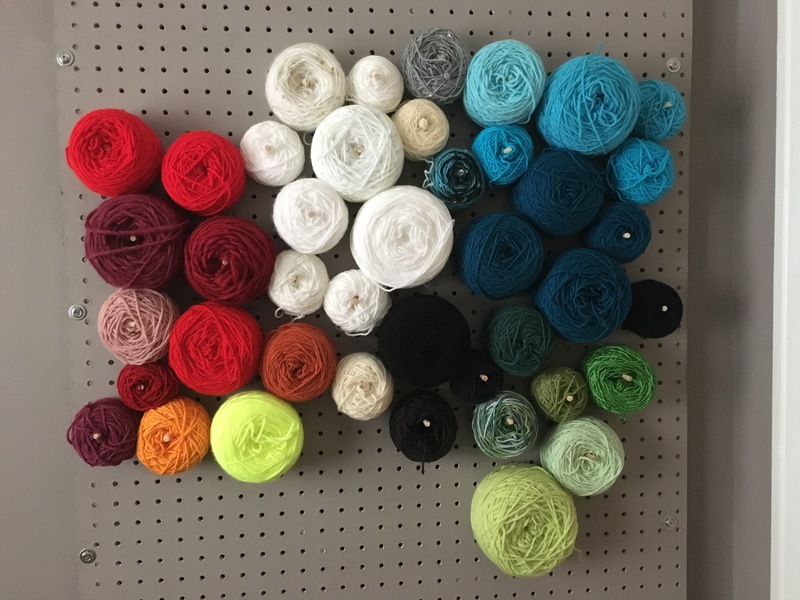 I painted this one to match colour of wall so that focus is on the wool colours not pegboard. Looking forward to filling this one up!